Old Entries: here,here & here. 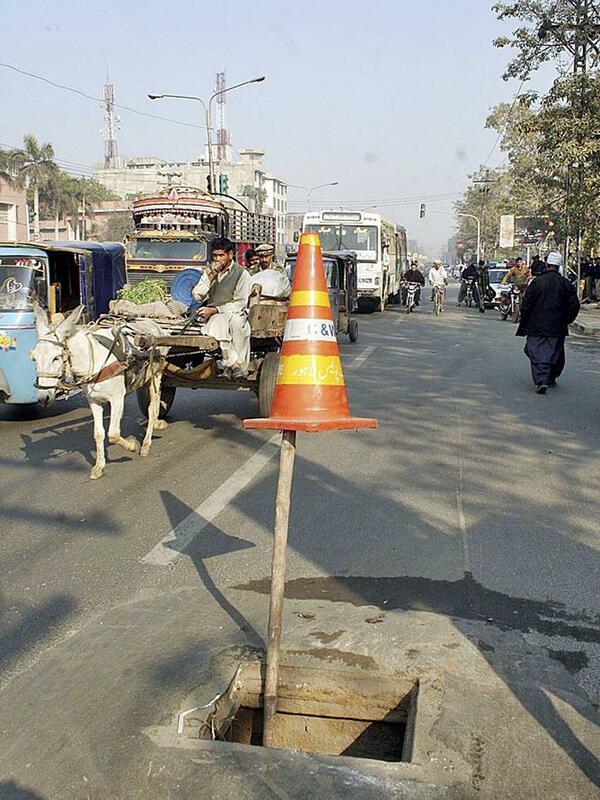 Necessity is the mother of invention and lahoris are the most inventive people on earth. LOL genius idea! A better recommendation would be to make a square barrier around the gutter using fluorescent railings or such, just so one can see from a distance that ahead there is some form of hazard. But i doubt that the height matters. It is sufficient early warning that does. ie put more traffic cones every 5 metres for 50 – 100m ahead. *shrug* Oh i am but an amateur driver after all.